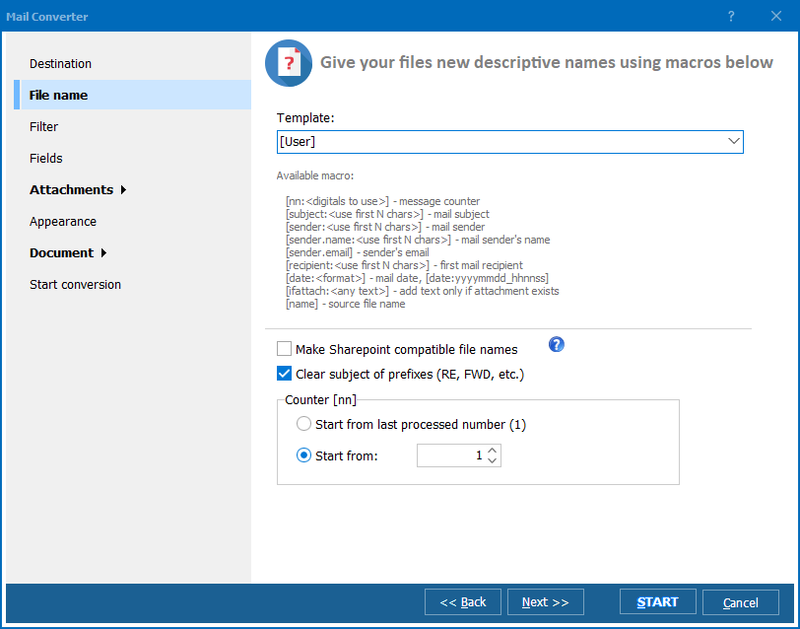 Total Mail Converter Pro is a high quality application designed to help you convert emails (EML, EMLX and MSG) to PDF. PDF/A file type is an option too. With help from Total Mail Converter Pro, you will be able to easily transfer and manage your emails outside of Outlook or any email app. Once you start using the Total Mail Converter application, you will be able to convert emails in batches, as a result, the value can be very well worth it all the time and the experience will be very rewarding regardless of the situation. If you want to convert only certain emails, we can help you do that. We offer a dedicated filtering solution (search by key words) that will make the entire process fast, easy and seamless to begin with. 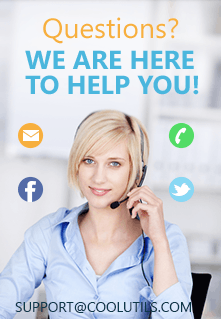 Why should you use Total Mail Converter? You can convert thousands of MSG to PDF with all the attachments. You have plenty of choice how to process emails. 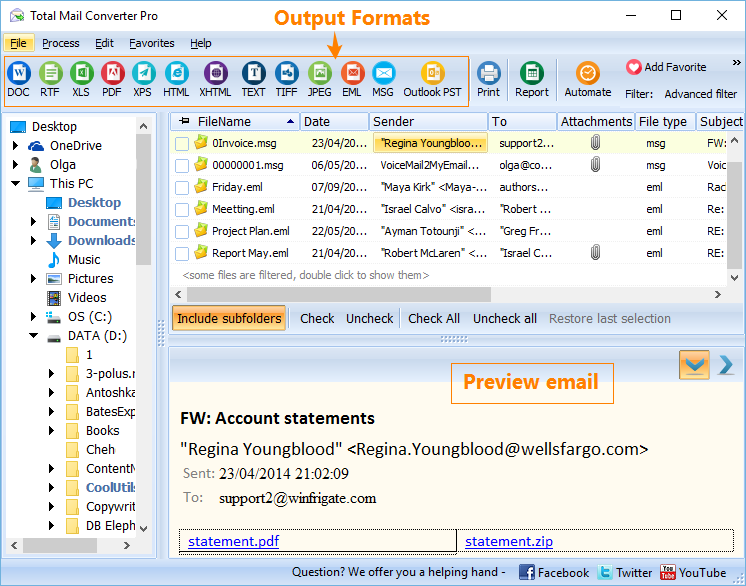 Total Mail Converter Pro allows you to convert the attachments to PDF, TIFF, JPEG, HTML, DOC, TXT and many others. You can export email fields separately if you want, be it the subject, sender, date, recipient or the email body. Get complete control over your PDFs, especially including the way the recipients get to use the end result. Allow or forbid editing, printing, etc. Sign output PDF files with the digital signature, which is very important to keep in mind. Perfect attention to detail everything gets converted professionally and from the first try. It's the perfect tool for Freedom of Information requests and eDiscovery requests. 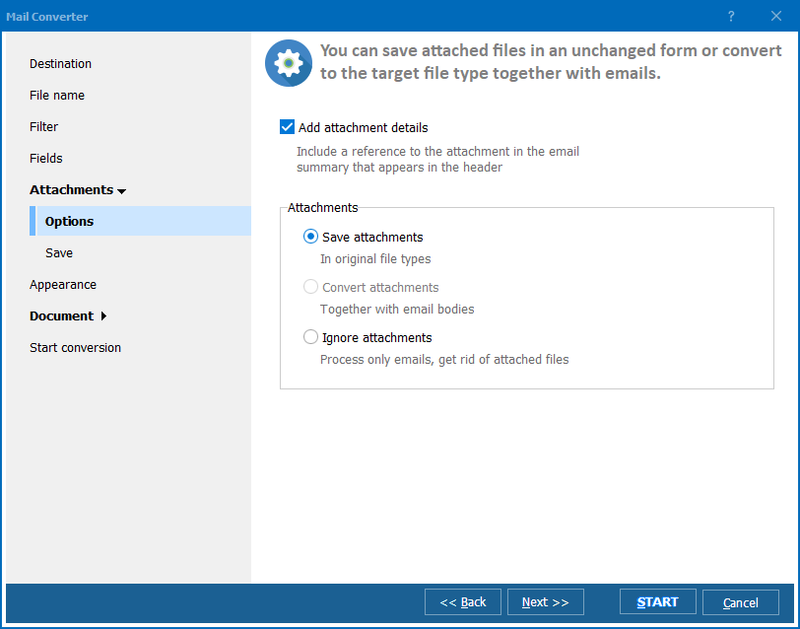 When you start using Total Mail Converter Pro, you never have to worry about needing Outlook for any tasks. Instead, you just have to point this app to the emails that you want to extract and convert, then we will do that for you without a problem. The great thing when you use Total Mail Converter Pro is that you always get the most accurate results. If emails contain non-Latin symbols or emoticons, they will be carefully transferred to your PDFs. It's a much better experience and the value can be very well worth it. Total Mail Converter is the perfect solution for any company and regular user that needs to handle large amount of emails and convert them with ease. It's specifically suitable for law firms that need if for litigation or discovery, as well as tax advisors that might require it for email management as well. Plus, you can easily open emails from a Mac on a PC as it support EMLX files too. Do you need more? With help from Total Mail Converter Pro you will have no problem working with formats like PDF and PDF/A, PST, TIFF, TXT, XHTML, HTML, XPS, XLS, DOC. Total Mail Converter Pro runs fine on Windows XP/2003/Vista/7/8/10. There is also a server version without GUI. Contact us for more details on licensing and support terms.